Mr Ray Chan is the ceo and co-founder of 9GAG, the global cross-platform entertainment media network. Founded in 2008, 9GAG’s mission is to make the world happier. 9GAG has a total of 150 million global audience with 44 million followers on Instagram, 38 million on Facebook, and 14 million on Twitter. Mr Chan graduated from the University of Hong Kong with a degree in Law. Dr Toa Charm is the chief public mission officer of the Hong Kong Cyberport Management Company Limited. He helps develop the company's strategic direction and drives Cyberport's public mission-related programs with the goal of inspiring the next generation, nurturing entrepreneurial spirit and helping local start-ups go global. Before Dr Charm joined Cyberport, he held senior management and consulting positions from leading multinational and Chinese companies in Asia Pacific in the past 25 years including IBM, Oracle, HSBC and Kingdee. Dr Charm has been actively contributing to the ICT industry development and community affairs in Hong Kong and Asia Pacific. 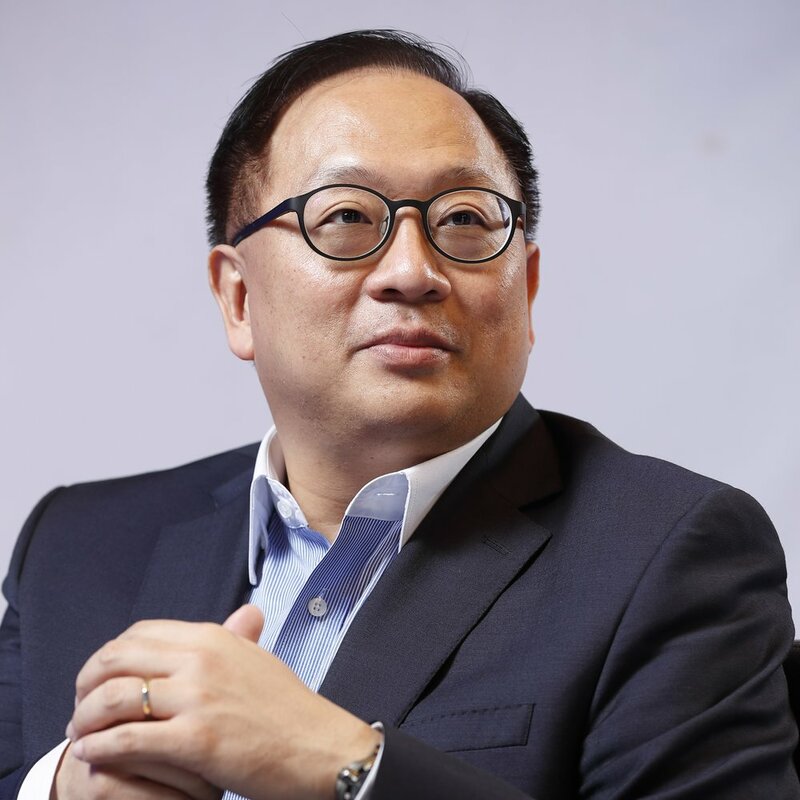 He serves in a number of advisory boards in ICT industry, universities, startup communities and NGOs including Hong Kong Computer Society, Hong Kong General Chamber of Commerce, Tung Wah Hospital Group, City University of Hong Kong and Hong Kong Trade Development Council. Dr Charm specializes in AI, big data, FinTech, digital strategy, business models innovation, growth and internationalization for emerging companies. He often shares his experience with corporate leaders, digital entrepreneurs and students. Dr Charm is often invited as judge and assessor for ICT and innovation awards in Hong Kong and Asia Pacific. Dr Charm holds a Doctor of Business Administration degree, a Master’s degree in Business Administration and a Bachelor’s degree in Computer Science. He also completed management programs from Harvard, UC Berkeley and China Europe International Business School. Dr Charm is a TDWI Certified BI Professional and has completed a Big Data and AI Certification Programme from Massachusetts Institute of Technology. Miss Ines Gafsi is a social media expert and community leader. She is responsible for the operations of Female Entrepreneurs Worldwide (FEW), including social media marketing, monthly events, influencers engagement, media relationships, and building the FEW community worldwide. Miss Gafsi began her career in France where she developed strong leadership and expertise in brand building, strategic partnerships, digital marketing, e-commerce and CRMs across the luxury and F&B industries. Founding FEW has allowed Miss Gafsi to combine her love for technology, digital business, and her passion to empower women, and enable startups to unleash their full potential with meaningful connections. Mr JF Gauthier is a Silicon Valley serial entrepreneur and the founder and CEO of Startup Genome. He advises more than 30 governments across 25 countries on how to accelerate the growth of their entrepreneurial ecosystems through evidence-based policy making. He is also the co-founder of Exit Reality, a fast-growing VR startup, and an active angel investor. Based on the voice of 10,000+ entrepreneurs, 300 local partner organisations and with more than 50 cities across 28 countries, Startup Genome has built the largest body of knowledge on what fuels the performance of startups and their ecosystems. Based in Silicon Valley for 20 years Mr Gauthier has founded and played pivotal roles in companies active in the tech, life sciences and cleantech sectors as well as led several exits and acquisitions on both sides of the table. He has an MBA from the Harvard Business School. Mr Paul Lee co-founded Aumeo Audio with the goal of creating solutions that are surprisingly simple to use. An electrical engineer by training, Mr Lee took his technical expertise and management consulting experience to help found several successful Silicon Valley startups since the 1990s, and has first-hand experience in producing solutions that dramatically simplify problems and challenge the status quo. Mr Lee strongly believes that his hometown Hong Kong has many of the qualities and advantages to become a hotbed for world-class innovations and entrepreneurship. In 2007 he returned home and co-founded Ximplar to do his part in contributing to Hong Kong's strength in technology and innovation. Aumeo’s audio tailoring technology is the latest result of Mr Lee's vision in solving problems with unprecedented simplicity. It has won international acclaim and is launching its second product in May. Mr Stephen Liang is an assistant executive director of the Hong Kong Trade Development Council (HKTDC), the statutory organisation responsible for promoting and developing the city’s external trade. He oversees the Council’s Chinese mainland and international activities that promote Hong Kong products and services. Mr Tak Lo is a Partner at Zeroth, and invests in ambitious founders that are building AI companies that solves tomorrow’s problems. Zeroth has invested in 34 companies, making it one of the most active AI investors in the world. Mr Lo started his career in the US Army. He graduated from the London Business School and the University of Chicago. Mr Jay McCarthy is a co-founder & partner at SparkLabs Global Ventures. He is also a Partner at SparkLabs, a startup accelerator in Korea. Mr McCarthy has more than 22 years of experience in Asia. Currently, as a managing partner of Pacific Advisers, he has advised, financed and invested in a range of deals in Asia across industries, principally mining & energy, technology, luxury consumer and property. Previously, Mr McCarthy served as an Executive Director in the Equity Division at Morgan Stanley and has worked in the Tokyo, Hong Kong, Beijing and Singapore offices over a 16- year period. Within this time, he served two years as Morgan Stanley’s “secondee” to China International Capital Corporation, their JV Chinese Investment Bank, as the Dealing Director in charge of the Equity Division in Hong Kong and Beijing. Prior to that, Mr McCarthy worked at Coopers & Lybrand in New York (USA). Mr McCarthy graduated from Boston College in Newton, MA, USA and has basic speaking skills in Japanese. Mr Peter Mok is the head of incubation and acceleration programmes, Hong Kong Science & Technology Parks Corporation. He has extensive experience in sales and marketing of technology products, corporate merger and acquisition, venture capital investment and C-Level executive recruitment. Mr Mok is the director and also responsible for the secretariat office of the Hong Kong Business Angel Network. Mr Mok holds a BA(Hons) degree from the University of Hong Kong, an LL.B (Hons) from the University of London and an MBA from The Chinese University of Hong Kong. Mr Josh Munro has been working in the telecommunications space for more than 10 years. He has held various high-level roles at AAPT across many business units, including information technology and product before moving to Megaport in 2014 as the channel director for APAC. Mr Munro quickly became an integral member of the Megaport team, delivering strong sales results and building a solid career foundation. He moved to the head of sales for APAC in 2016 before moving to his current role as the executive vice president for APAC in May 2017. With a strong history in the telecommunications industry and a portfolio of leadership positions, Mr Munro has what it takes to ensure Megaport continues to be the leader in its space. He has a strong focus on customer satisfaction and the expansion of Megaport services across the region. Besides his day job as a sales lead, Mr Munro has been representing Megaport to front their investor meetings in Australia, and he is one of Megaport's founding employees – allowing him to know the business inside and out. 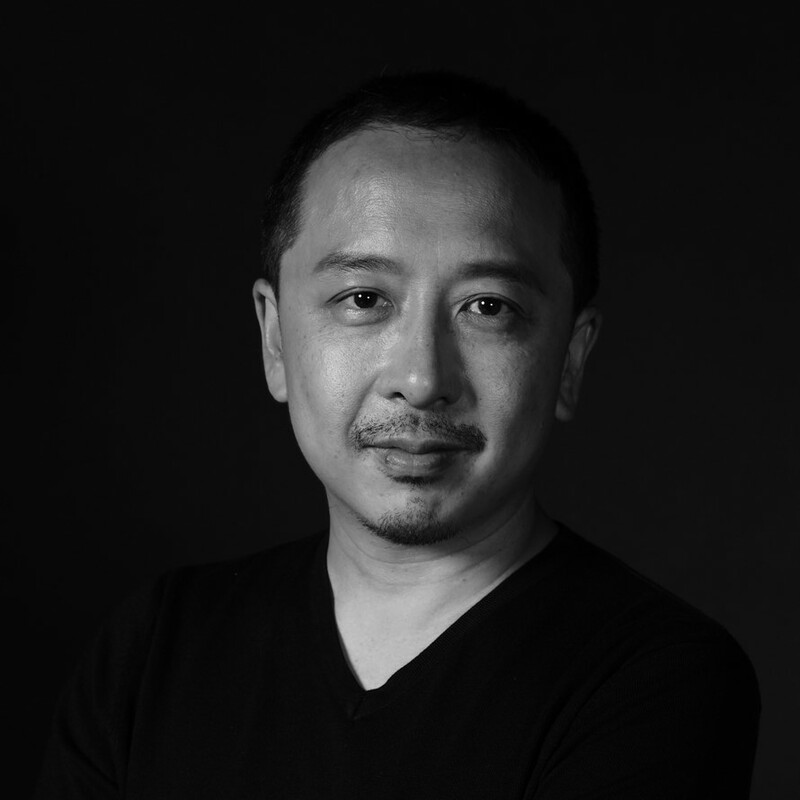 Mr Wang Tse is the CEO and co-founder of Campfire Collaborative Spaces where he currently oversees the overall creative and strategic expansion of Campfire. Besides Campfire, his business ventures include F&B, jewellery, education, and agriculture in multiple regions globally. With more than 15 years of real estate investment and development experience, Mr Tse has been a serial entrepreneur from a very young age. Mr Duncan Turner is general partner at SOSV and managing director of HAX Shenzhen, where he oversees HAX, the world's first and largest venture capital- backed programme for hardware. He is responsible for strategic direction of the programme, operations and investments. Prior to joining HAX, Mr Turner led design and consumer engagement strategy projects for Fortune 500 companies at global design and innovation firm IDEO. Mr Turner has a strong entrepreneurial background and deep experience of growing businesses in China, having taken numerous hardware products to market from first concepts through research, funding, design, development, manufacturing and assembly to final sales. He obtained his Master's degree from Royal College of Art & Imperial College. His design work has won multiple awards and is included in the permanent collection at The Museum of Modern Art. Mr Sum Wong is the co-founder of EventXtra, a corporate event management SaaS platform that served top-tier companies like Apple, Alibaba, RISE, Economist, etc. He spent his college time studying Computer Science in Hong Kong University of Science & Technology , Beijing Tsinghua University and George Washington Universityin the US.